IS YOUR CAR TELLING YOU IT’S TIME FOR A SERVICE? You car has more than a few ways of letting you know that it needs to be serviced. Sounds, sights, and smells are your first signals that you need to let a professional take a look at your vehicle. Here are some of the most recognizable signs that your car needs to be serviced. This little orange light strikes fear into drivers. It can mean so many things but what it always means is that someone needs to take a look at your vehicle. Plenty of dealers and mechanics will take a reading from the light for free. You can also buy your own tool to take the reading yourself. You know your car best you can tell when something doesn't sound quite right. Scarping, whining, screeching, and so many more strange sounds can let you know that you car needs some help. Smoke coming out from your hood is an immediate plea from your car to get it serviced. Unfortunately, by the time that happens there could be more problems than you expected. Similarly, excessive smoke from your exhaust should trigger you to drive into see a mechanic. Transmissions are beyond crucial to your car and in their role they see a lot of wear and tear. It's important to get it properly maintained. When you start feeling bumps when you shift or hearing grinding gears, it's definitely time for a service. Finding leaks here are there is a sign of bigger problems down the road. Get your vehicle in for a service before that small leak become a big puddle. If you find your car experiencing any of these symptoms, bring it in to Metro Nissan of Montclair. 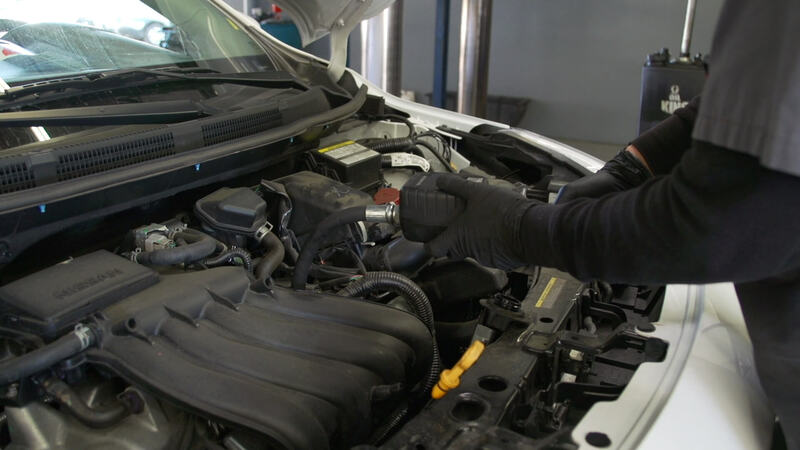 Our professional technicians can take a look under your hood to get your ride good as new. You can even schedule a service appointment online at MetroNissanMontclair.com. And visit our website to see our service specials.